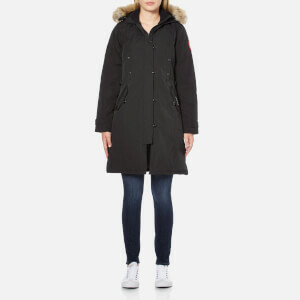 Women's slim fit Canada Goose parka. 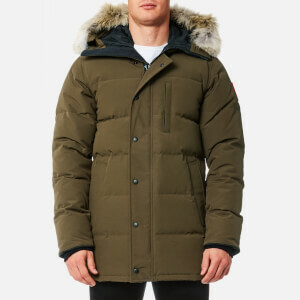 Crafted from water-resistant Arctic-Tech fabric which is designed to stay dry and keep you warm in extreme climates, the 'Rossclair' coat features an adjustable hood with removable Coyote fur ruff, a centre zip fastening with YKK® 2-way locking zipper and long sleeves with heavy-duty rib-knit cuffs to keep out the cold and snow. 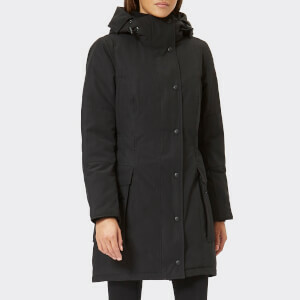 Perfect for extreme conditions, the warm, mid-thigh length jacket features a storm flap to the zip fastening for extra protection, a suede tricot-lined chin guard for enhanced comfort, and an adjustable drawcord to the waist for a cinched-in silhouette. 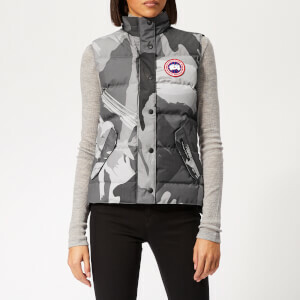 Equipped with multiple pockets, including two exterior fleece-lined pockets and two interior pockets. Wind-resistant and durable, the design is complete with a signature branded patch to the left arm. Longer at the back with zipped gusset for enhanced movement and protection from cold. Shell: 85% Polyester, 15% Cotton. Filling: 625 Fill Power White Duck Down (80% Down, 20% Feather). Trim: Coyote Ruff Fur. BUST inches 30"-31" 32"-33" 34"-35" 36"-37" 38"-40" 41"-43" 44"-47"
WAIST inches 24"-25" 26"-27" 28"-29" 30"-31" 32"-34" 35"-37" 38"-40"
HIPS inches 34"-35" 36"-37" 38"-39" 40"-41" 42"-44" 45"-47" 48"-51"